Most of the projects in Gurgaon have now reached their final stage and will be handed over soon to their respective owners. 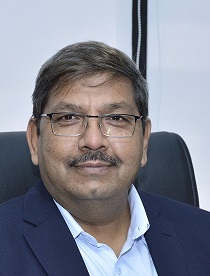 In an exclusive interview with 99acres.com, Surinder Singh, Director, GLS Group, shares his views on the real estate scenario in Gurgaon in 2019. How has been the performance of your city’s realty market this year? Is it in line with the expectations you had at the beginning of the year? The performance of the realty market in Gurgaon has majorly been positive this year. However, an increase in the home loan interest rates in the last quarter of the year and a sudden full stop to the funding by Non-Banking Financial Companies (NBFC) has adversely affected the real estate market. The scenario, unfortunately, will take time to revive. What is the prevalent home buying sentiment in your city? In Gurgaon, the homebuyers are majorly looking for ready-to-move-in units so that they do not have to wait for long after paying the money. Affordable projects have garnered more attention from the prospective homebuyers. Most of the projects have now reached their final stage and shall be handed over soon. How have sales, property price movement and new launches been in 2018? Is the trend expected to continue in 2019 as well? The sales and the property price movement along with the new launches were good in 2018. People showed a good response and we hope that the upcoming year also goes well for the real estate sector. Further, the demand for properties along with the prices is expected to escalate in 2019. Do you see any increase in property prices in 2019? Yes, we are expecting an increase in property prices in 2019. The prices have not been revised for a long time, and the developers are burdened by the reforms brought in by Goods and Services Tax (GST) and Real Estate Regulatory Authority (RERA) coupled with other costs. Because of all these, the pricing has to be revised which eventually will pave the way for a better scenario in the upcoming years. Which areas are the most popular amongst buyers? Are there any upcoming growth corridors that the buyers must target in the coming year? No such specific area can be termed as the most popular amongst the homebuyers. As of now, the homebuyers are just looking for ready-to-move-in units with excellent connectivity to the main areas. A homebuyer always prefers to buy a property in affordable areas, also keeping in mind the connectivity of the region to other prominent localities. When do you anticipate a complete revival in the real estate market? We can expect a complete revival in the real estate market in 2020. The market at that time will be at its best and the investors would be satisfied with their investments. How do you sum up 2018 for the city’s real estate sector? What trends can we look forward to in 2019? The real estate market in India witnessed many ups and downs in 2018. There was slow growth in the prices due to an increase in the interest rates coupled with NBFC issues. However, the upcoming year is expected to bring in some positivity to the market and we are hoping that the market will boom in the days to come. To Know More About GLS INFRATECH PVT. LTD.